After several months of homelessness, Berks Book Bonanza has secured a location for its 2018 sale. Bibliophiles and readers alike will once again be able to attend one of the area’s largest used book sales, held this year at the Berkshire Mall in Wyomissing. 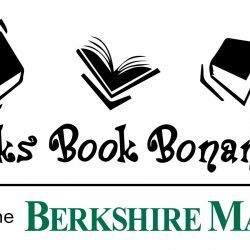 On July 16, 2017, Berks Book Bonanza completed the most successful sale of its 38-year history, raising $81,600 for scholarships and public libraries in Berks County. By July 24, the massive fundraiser vacated its home at the VF Outlet that was scheduled for demolition later that year. The search for a 2018 location came to an end when the Berkshire Mall generously offered a vacant space to Book Bonanza. Thanks to Ellen Smoll, general manager, and Joe Nosti, operations manager, the annual fundraiser will be held on July 13-15 next to Coventry Corners. Book Bonanza is asking for donations of gently used books, DVD’s, CD’s, games, and puzzles. Drop-offs will begin on Monday, April 16 at the entrance next to Firehouse Subs and will occur Monday and Tuesday mornings from 9:00 A.M. to 12:00 noon and Wednesday evenings 5:30 to 7:30 P.M. Collections for donations will conclude on Monday, July 9. Volunteers will assist book donors with unloading vehicles during these times. For a complete list of acceptable donations, please check the Berks Book Bonanza website, www.berksbookbonanza.org. If you would like more information about this topic, please visit the Berks Book Bonanza website at www.berksbookbonanza.org.